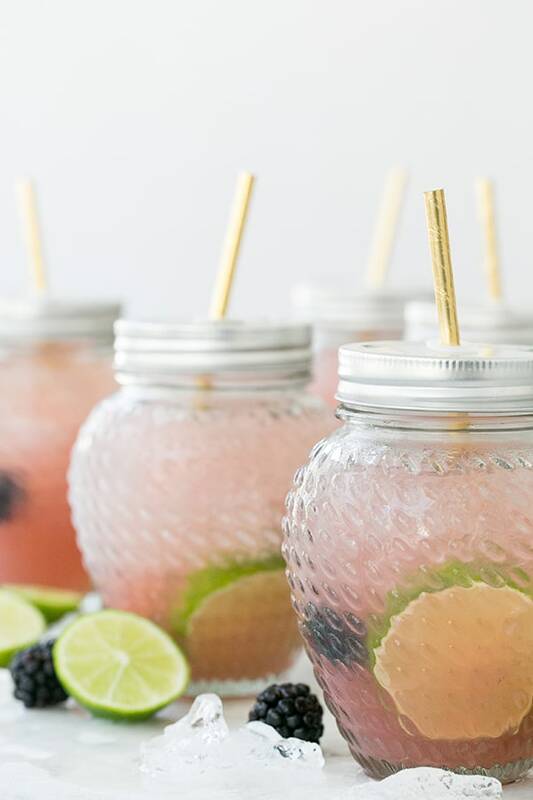 We’re excited to share this delicious cocktail recipe for a Blackberry Margarita party punch I had at a Chambord event! It’s a cocktail punch recipe so it serves 8 and it’s SO good! We made our own, easy-to-make sweet and sour mix for it first and then followed the recipe below. You have to serve this margarita punch on ice because it makes such a difference! The ice dilutes it just a tad and makes it super refreshing! I served them in my new favorite jars, with lids and a straw. I found the vintage-style jars on Urban Outfitters and unfortunately they come packaged with some random cocktail kit, but I just gave that away so I could enjoy those jars!! They’re so cute and a great way to serve your margarita! 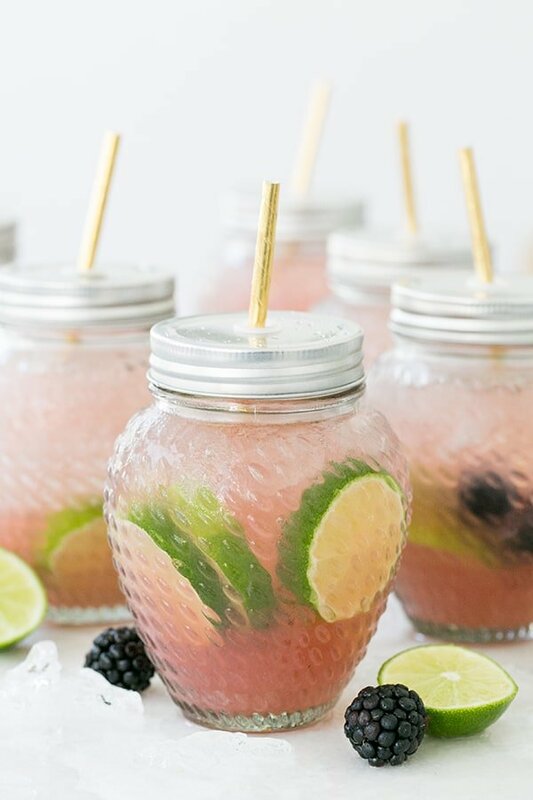 Add some fresh lime slices and blackberries into the jar with ice and you’ve got a pretty charming and tasty Blackberry Margarita cocktail! 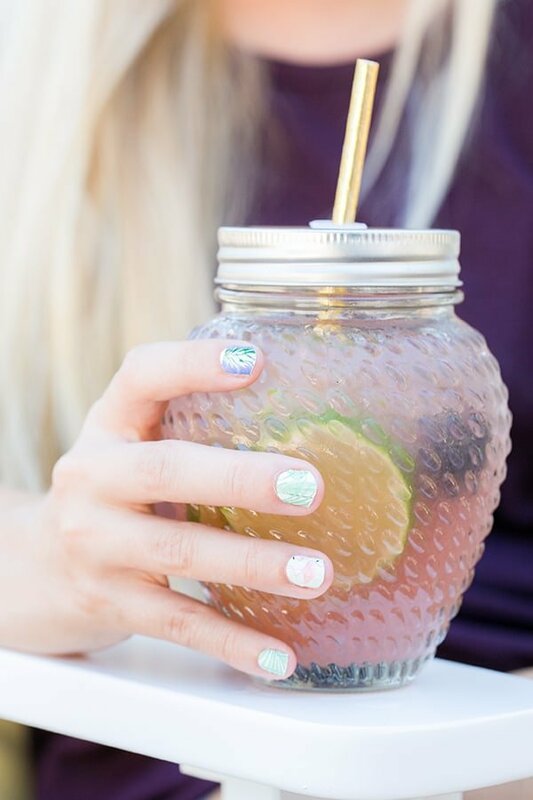 Cheers to summer, margaritas and cute jars, ha! Add all of the ingredients into a pitcher and stir. Serve with a lot of ice to keep it cold and refreshing! Add the sugar and water into a medium sauce pan and bring to a soft boil to dissolve the sugar. Remove from heat and let cool, then pour into a large container. Add in 2 cups lemon juice and 2 cups lime juice and stir. You won’t use all of this for the margarita recipe, so just save the rest for later! 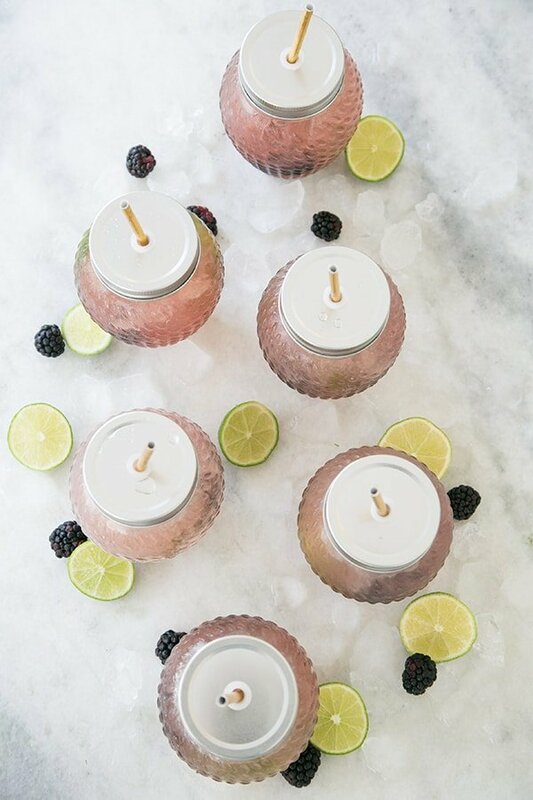 17 responses to Blackberry Margarita Party Punch! 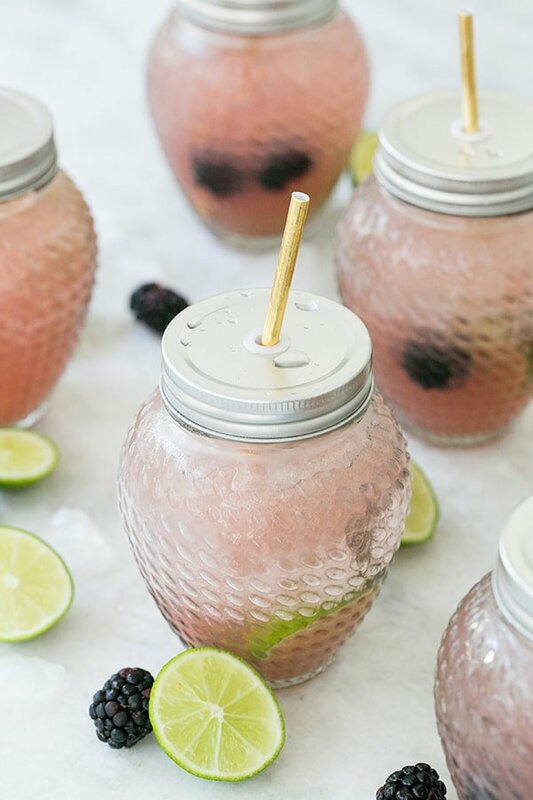 These look so pretty and refreshing! Love the blackberries in here! Haha!! Thanks lady!! They were stick ons and I made the sweet girl who helps me wear them while I took the picture, ahhh!!! This recipe sounds delicious, but I’m confused as to why there are no blackberries/blackberry-flavored ingredients in a recipe titled Blackberry Margarita Punch. Are some of the ingredients missing? Haha! Thanks! It is confusing! Chambord is a blackberry liqueur and gives it that sweet blackberry taste! Chambord is not blackberry flavored. It is a black raspberry flavored French liqueur, hence, my initial confusion. Where did you get the mason jars? They are super cute! I actually got them from Urban Outfitters!! Love this. Where did you get the serving glasses? Gorgeous!